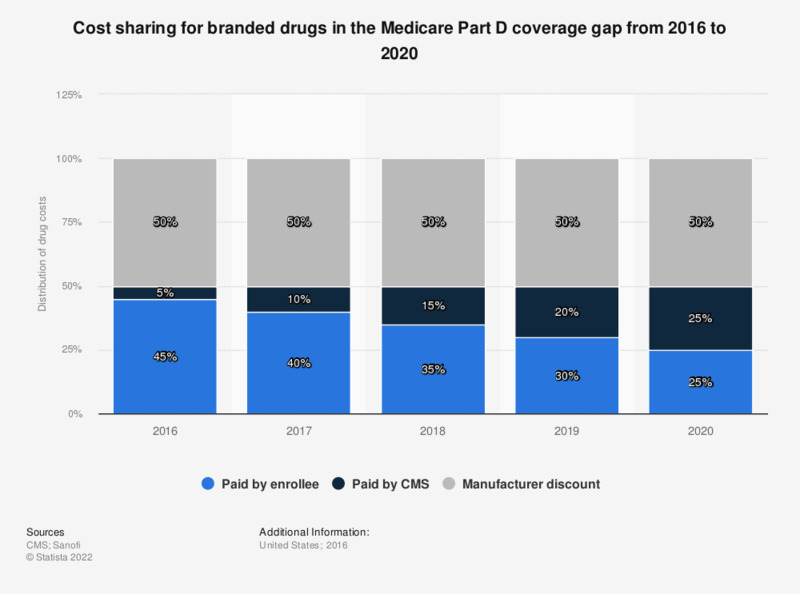 This statistic displays the projected distribution of cost-sharing for brand name drugs in the Medicare Part D coverage gap in the United States from 2016 to 2020. In 2016, five percent of the cost of brand name drugs is expected to be paid by CMS. Provisions of the Affordable Care Act mandate the gradual closure of the Medicare Part D coverage gap through pharmaceutical manufacturer discounts and CMS subsidies.